All recreational boats on Sale Now! When you're in the market for an IRB for your club, keep in mind that Achilles have been making inflatables especially for the Australian market since 1981. Achilles have consistently won at least 12 out of 15 medals in the majority of IRB Championships. So, check out the technical specifications, be assured that all Achilles IRB's conform to SLSA specifications. A lot of quality in a small package. That describes the Achilles LT Series dinghies. These two and four-person boats go from their handy carry bags to fully equipped dinghies in just minutes. 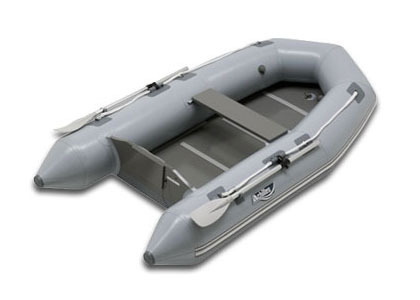 Compact enough to be stored virtually anywhere, they are safe, durable and dependable dinghies capable of carrying substantial loads. They come ready to work with fold-down oar system, wood seat, fold-up floor and motor mount. Even though they are our most economical boats, they are made with the same durable Achilles CSM fabric and backed by the same five-year warranty as our large sport boats. 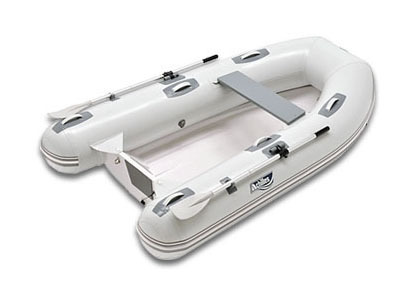 These timeless tenders still offer boaters the classic inflatable look and functionality that has made them so popular. They represent the culmination of many subtle refinements over the years that have kept them technologically current while maintaining their traditional appearance. Achilles Commercial SU Boats are built tough to work hard for rugged private and commercial use. They are made with an additional heavy-duty layer of 840-denier nylon fabric in a two-ply technique which results in a fabric even stronger than a single base fabric of equal thickness. A number of commercial grade features such as recessed valves and a full-length, protective wear patch combine to makes these boats the right choice for the toughest marine uses. 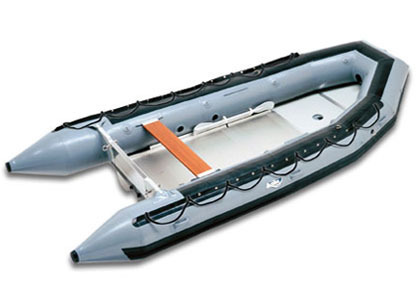 These versatile aluminum and wood-floored boats are the perfect solution for a range of uses. 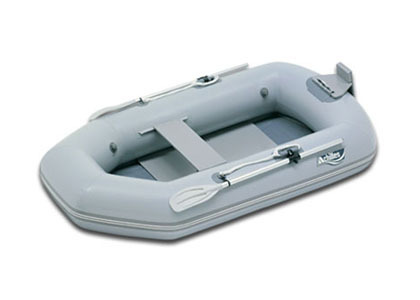 They are rugged and roomy so they can be put to the test as dive boats, heavy duty tenders or utility boats. Their sporty nature also makes them great runabouts that really perform thanks to their deep “V”inflatable keel and large tube diameters. A range of quality features include a fiberglass-encased transom and removable, dual position wood seat. Their Achilles CSM fabric pedigree makes these sport boats extremely tough...and tough to beat.